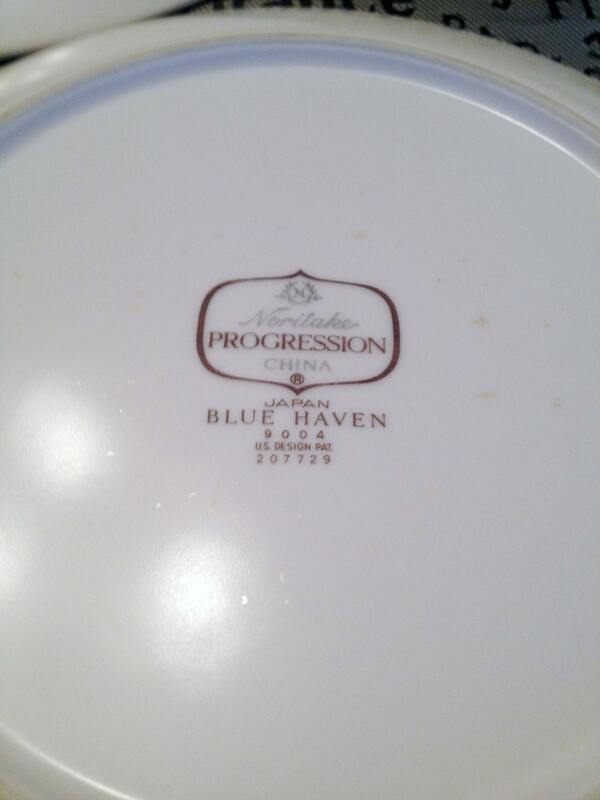 Set of 4 vintage (1960) Noritake Progression Line Blue Haven 9004 large salad or side plate. Blue-and-white design. Made in Japan. 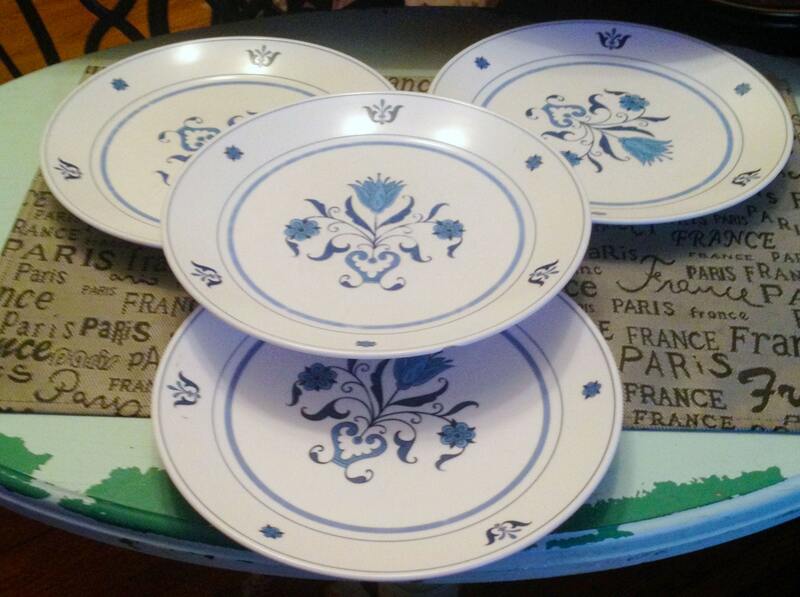 Set of 4 vintage (late 1960s) Noritake Progression Line Blue Haven 9004 large salad or side plates. Blue-and-white design made in Japan. In GOOD! 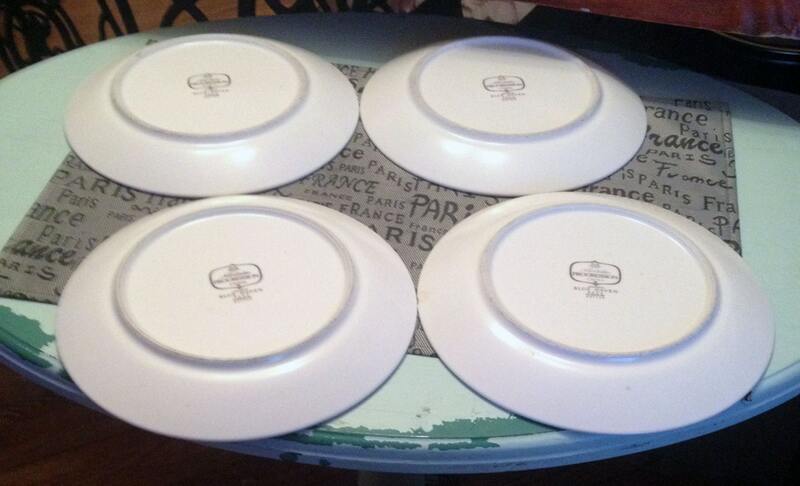 vintage condition, one of the plates has a chip to the edge (please review each of the posted photos for a complete visual of the items). Otherwise, there are NO! other chips, nicks, or fleabites, NO! cracks and NO! crazing. There is some MINOR | LIGHT wear to the plate surface with a few LIGHT! utensil marks here and there and some MINOR! 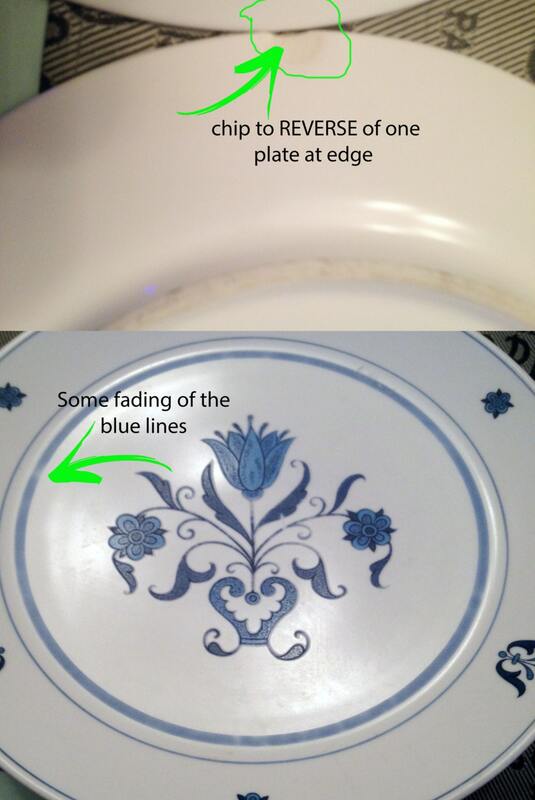 fading, primarily of the inset blue lines. Again, please DO, ALWAYS, refer to the posted photos to ensure the plates meet your personal expectations prior to check-out. 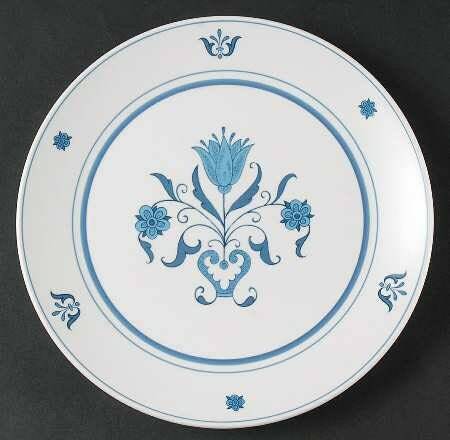 Approximate measurements: 8-3/8" in diameter with a coupe shape.